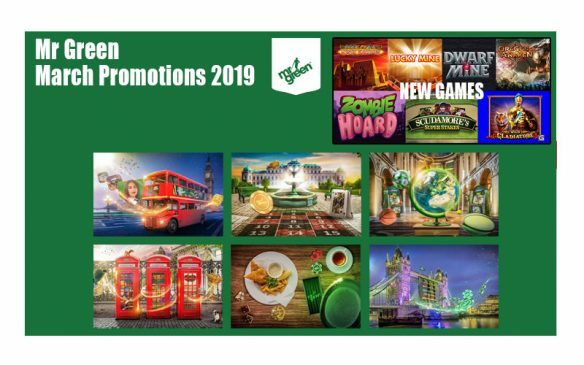 We enter this month with Mr Green Casino May Promotions and they have started with 2 fantastic ones. Check out the Champions League Final promotion in addition to the DJ Wild promotion. 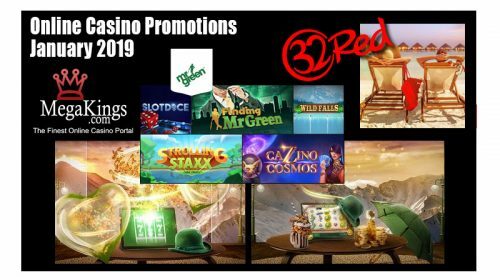 Without further a do let us take a look at what Mr Green Casino May Promotions is offering players this week. 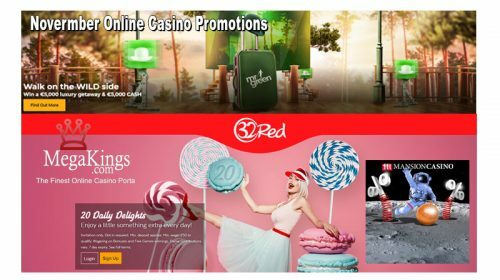 CLICK HERE >> to visit Mr Green Casino. Two Category 1 tickets to the CHAMPIONS LEAGUE 2017 FINAL in Cardiff, on the 3rd June. • Access to hospitality lounge three hours before kick-off and up to two hours after the final whistle. Wondering how you’ll get to Cardiff? Well Mr Green is including return flights and airport transfers to make your Champions League adventure that much more enjoyable. Finish at the top of the points leaderboard and the tickets are yours! Collect points by playing Reel Thrill Tournaments daily between the hours of 17:00 and 19:00 BST within the promotion period. 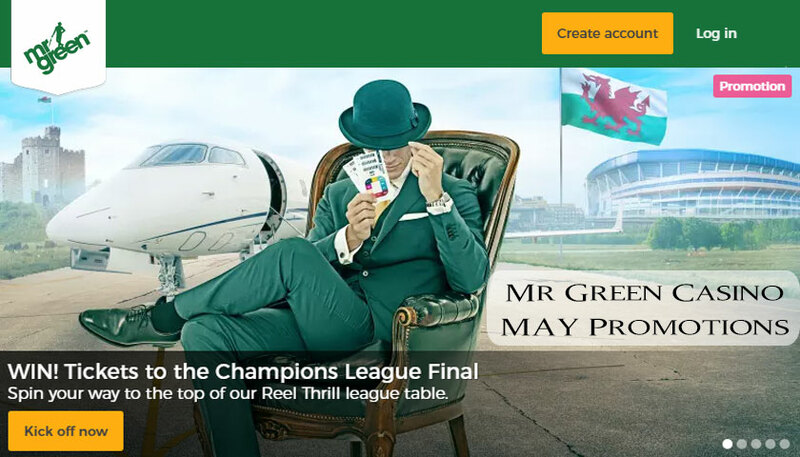 This runs every 15 minutes – depending upon where you finish in the tournaments you’ll earn points on our Champions League Reel Thrill Leaderboard. So how many points can you earn? Reel Thrill Leaderboard coming soon. Mr Green wants to hear you spin! Hit the stage and fill reels 1,2,4 & 5 with WILD symbol in our ‘DJ Wild’ slot to be ranked one of our daily top 20 players. After 7 days we will have our final 140 players who will be randomly awarded with 20 Cash Prizes. Get ready to turn the tables and blast the volume because…we want more, we want more, we want more! Simply play ‘DJ Wild’ and fill reels 1,2,4 & 5 with WILD symbols to earn one point for the daily leaderboard. If your name is one of the ‘Top 20’ names for the day, you’ll be entered into the final draw for the Cash Prizes. If your name appears more than once, it only increases your chances of winning the cash prizes.